Can tech firms, startups fuel job growth and new office requirements in New Jersey? On the seventh floor of an office tower in downtown Newark, a venture capital fund is more than two years into its mission to discover the city’s next great technology startup. 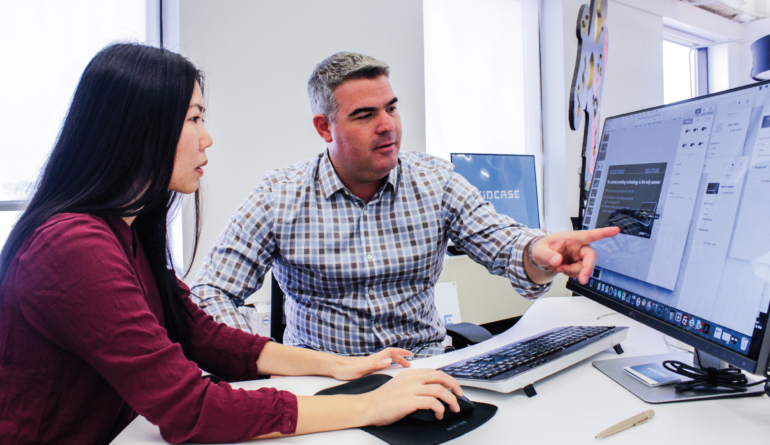 If you ask Tom Wisniewski, managing partner at Newark Venture Partners, that begins with not only providing capital, but the right kind of office setting and mentorship from successful entrepreneurs. It’s why the firm operates out of a light-filled, 25,000-square-foot co-working space dotted with collaborative workstations and colorful furniture — a space that happens to be an elevator ride away from one of the city’s most famous tech companies. Landlords in Newark — and elsewhere in New Jersey — can only hope that’s the case. In a market that has been hurt by densification and lackluster job growth, many of the state’s largest office leases in recent years have been tied to tenants looking to consolidate and upgrade their space. But technology and information firms have been a rare source of expansion in New Jersey, fueling new space needs that are about more than just a flight to quality. Making sure the Garden State can grow its technology sector is a matter of creating the right environment and promoting what the state can offer in the way of labor, education and accessibility. Experts say it’s also up to landlords to ensure that they provide the space that tech users are looking for. 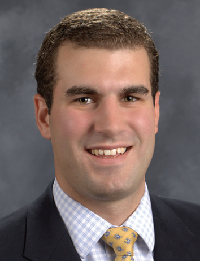 “The infrastructure and the human capital is here,” said Dan Spero, a broker and senior vice president with JLL. “I think it’s really all about tying it together to give technology companies comfort that this is a great place to establish. According to JLL, about 19 percent of office requirements in northern and central New Jersey were coming from information and technology firms as of late July. Spero said new tech requirements could come from a number of sources, including organic growth by existing companies and those that may be considering a relocation here from out of state. Whatever the source, enterprising developers are in fact responding to the need to provide the right space. In April, Edison Properties kicked off an $80 million project to convert a historic warehouse in Newark into 456,000 square feet of modern, loft-style office space. 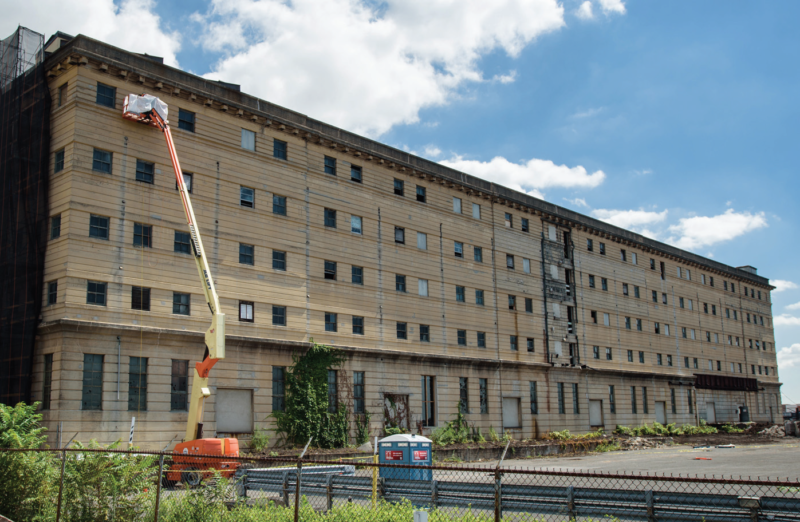 Company executives say the 107-year-old structure at Edison Place and McCarter Highway will convey the sort of historic, open environment that tech and creative users are seeking, while offering flexibility and brand new technology and building systems. While completion is still about a year away, Edison is already in discussions with tech users and tenants from a range of other sectors, in what is perhaps a sign of the broader appetite for what the firm is offering. Suriano sees Ironside Newark as an option for those who are looking for a better value than what they currently have in Manhattan, Brooklyn and even Jersey City, along with young entrepreneurs coming out of schools such as the New Jersey Institute of Technology. Edison plans to appeal to both ends of the spectrum by offering everything from large floorplates to a potential co-working component with spaces of only a few hundred square feet. Plans for Ironside Newark, located at Edison Place and McCarter Highway, call for 456,000 square feet of modern, loft-style office space and two floors of retail and restaurant space. Established companies have validated New Jersey’s appeal in the tech sector in recent years. Audible has grown since moving to Newark in 2007, expanding within its headquarters tower at One Washington Park and at a 77,000-square-foot facility across the street. Observers also point to companies such as iCIMS, a 17-year-old software firm whose rapid growth has led it to lease up to 350,000 square feet at the repositioned Bell Labs complex in Holmdel. The state’s office market has also seen requirements tied to the growth of newer companies such as HelloFresh and Jet.com. The latter, an e-commerce startup that was acquired by Walmart last year, started in 2014 with 40,000 square feet and is now poised to triple its footprint at SJP Properties’ Waterfront Corporate Center in Hoboken. Experts also note that government incentives, such as the Grow New Jersey tax credit program, have helped push deals over the finish line for companies that already saw value in the state’s transportation infrastructure, workforce and proximity to Manhattan. Whether newer startups can play a role in New Jersey’s commercial real estate market remains to be seen. Funds such as Newark Venture Partners, accelerator programs and co-working spaces are increasingly providing the environments that allow startups to grow, even if it may be years before those companies have substantial office needs. But if and when they are ready to lease their own space, it will be important for New Jersey landlords to provide the right options. Spero said “the second-generation space that exists in these buildings doesn’t appeal to these tech companies,” especially those in the 5,000- to 10,000-square-foot range that are trying to graduate out a co-working space. Older spaces can be modernized, he said, but startups and their investors are often trying to limit capital expenditures, meaning they’re reluctant to spend money on physical improvements. “It becomes a very expensive endeavor for them,” said Spero, who specializes in emerging technology companies. “And they’re either forced to make a decision of: ‘Do we come out of pocket a lot and spend money on our space, which none of our investors want us to do, or do we saddle ourselves with a longer-term lease and have the landlord fund the fit-out? “And that long-term lease is also a no-no for a lot of these tech companies because it saddles your balance sheet with an obligation. Wisniewski, the managing partner of Newark Venture Partners, agreed that finding the right kind of space “makes all the difference” to an emerging tech firm. “Startups value inexpensive space, but all things being equal, they would rather have that space be less corporate because that’s just the culture,” Wisniewski said. Tech users also seem to value flexibility. 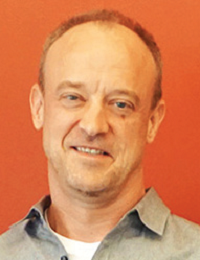 WorkWave CEO Chris Sullens, whose Monmouth County-based software development firm has grown rapidly in recent years, said the company had outgrown previous spaces of both 12,000 and 23,000 square feet before its leases ever expired. That meant having to find subtenants as it searched for a larger home, which it eventually found at a 72,000-square-foot space at the Bell Works complex in Holmdel. WorkWave also found the flexibility it needed for the future. Sullens said one of the reasons his firm chose Bell Works is that Somerset Development, the owner, offered it the option to take as much as 220,000 square feet in the coming years. Technology firms accounted for some of New Jersey’s largest office leases in 2016, including a 115,000-square-foot commitment by iconectiv, a telecom solutions firm, at Somerset Corporate Center in Bridgewater. Spero points to that deal as to why the tech sector can thrive in the state when the right space is available. 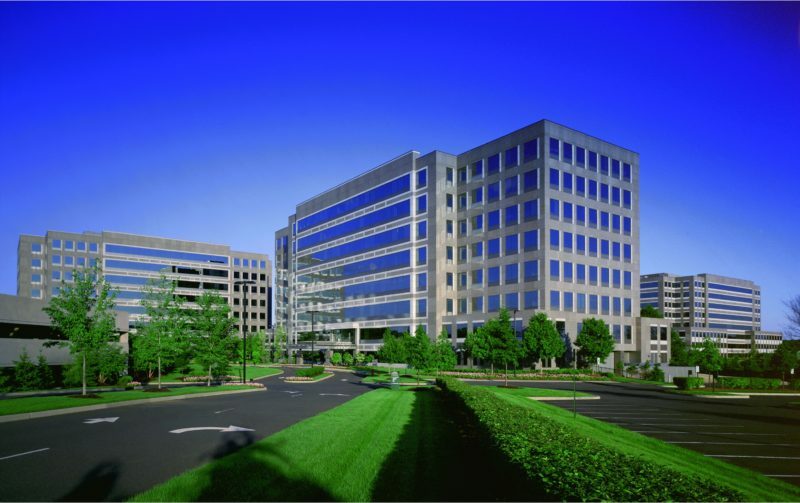 The tenant, an offshoot of Telcordia and later Ericsson, is a product of the state’s legacy in the telecommunications industry and has long held a presence in the central New Jersey office market. He also pointed to the state’s higher education system and transportation network as assets that tech firms are looking for. The key is often providing modern space, as developers such as SJP have done with iconectiv in Bridgewater and Jet.com in Hoboken. It’s also what Somerset Development is doing with Bell Works in Holmdel. The developer has transformed the 2 million-square-foot former Bell Labs campus into a mixed-use, modern hub, successfully attracting large, growth-minded creative and technology tenants.